Get started by creating drums from samples and loops process them using compression, EQ, and busses to begin the mixdown process from the start. Discover how to work fast and get ideas down. Learn how to use vocal samples, edit, chop and sample them to form rhythmic patterns and hooks. Learn an creative and unique way to add bass using rhythmic techniques before choosing notes. Select the right pitches that work with your record. Begin adding more drums and percussion and learn where to stop. Utilize 808 hi-hats, add swing, process and EQ them and bounce as audio. Begin to form a rough arrangement while processing individual sounds. Side chain hi-hats, bringing in more samples, EQ’ing and automation. Discover how to create transition elements, add a snare roll from hardware. Why and how to record hardware drum machines, automate and EQ properly. The process of adding FX samples and using automation for smooth transitions and working up the samples to suit the track. Begin to fine tune all parts and discover how to extend into a more full arrangement and add extra processing and automation to create movement. Working on the intro arrangement and automation. Understand the Shadow Child sound while keeping a familiar arrangement and style that Shadow Child. Dig into individual sounds and create space with EQ, delay to create width for a better mixdown. Understand when elements of the mix are better. As a producer and DJ, Simon Neale has already conquered the dance music scene and charts once over under his Dave Spoon guise. Retiring the Dave Spoon name, he launched a fresh sound under the Shadow Child alias, releasing his debut single on Claude Von Stroke’s legendary San Francisco label, Dirtybird in 2012. 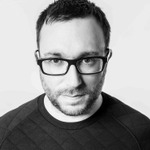 Since then, the Shadow Child moniker has grown and grown, producing a consistent stream of huge club tracks, a massively popular Rinse FM radio show, the Food Music label and a critically acclaimed album amongst other achievements. For the first time, watch how a Shadow child track is created from scratch, Learn the techniques and processes of fusing a modern dance edge with a fun retro aesthetic to create the unique Shadow Child sound. See the decisions, sounds and creative process as they happen with explanations to why and how you can use them in your own productions. In addition, as a part of this course, you’ll learn tips and production techniques for making and mixing your music, getting Shadow Child’s signature grooves and retro nods to classic dance music styles, while keeping things simple, fresh and ready to rock any modern dance floor. Total Runtime: Over 2hr 30 mins.